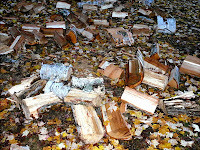 There is a full load of wood and kindling in the bin ready for winter visitors. 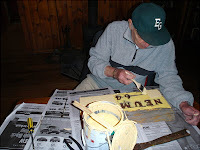 In general, I was satisfied with the camp close status, except for the sweeping. 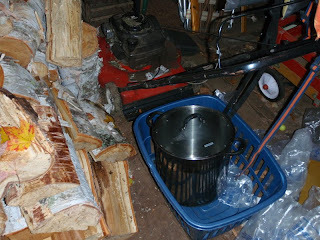 The new vacuum is simply not up to the task of managing a pet hair, wood stove ash, and muddy shoe burdened camp floor. It overheats and after brief usage started spewing sparks,making bad noises, and smelling bad. Yes we emptied the canister. It still didn't work. Since the Otts made this bad purchase, they are obligated to replace it. 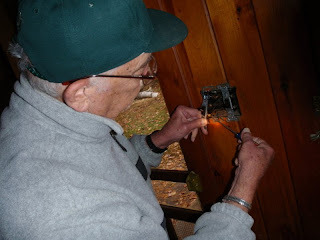 The shed switch failed and was replaced. 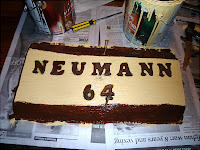 The camp handyman also repainted the sign. The breaker in the bathroom for the hot water heater is not seating properly, and as a result we had cold water several mornings. 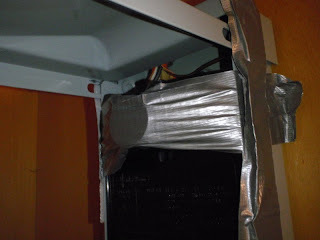 It is temporarily solved with duck tape, but will continue to be a problem until resolved. The gas can indeed be turned off from outside. All valves are off. 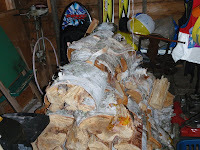 Birch is split and and stacked in the woodshed. Looks like about a face cord drying in addition to the usual store. The new big pot is clean, but stored in the shed because I can't figure out where else to put it. 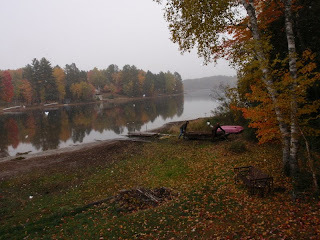 If you cannot find the dock and the boats, it is because they are now stored in this new spot. Hopefully they will not all float away with record high water in the spring. 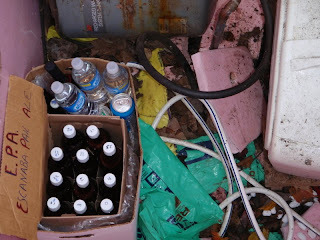 In the secret swamp cellar you will find 11 bottles of E.P.A., a few bottles of cooking beer, one bottle of pancake batter beer, one drinkable can of beer left over from the calibration set, a few bottles of water and a bottle of weird fruit infused soda pop wine. 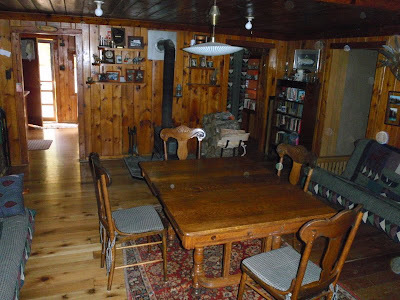 Inside the camp, there is less than a cup of whiskey, no cognac, no wine, and no decent coffee. Whiskey ,wine, and drinkable beer will need to be restocked by the next visitors. That is all. P.S. - We called Charter and Waste Management and put both on seasonal billing until May.